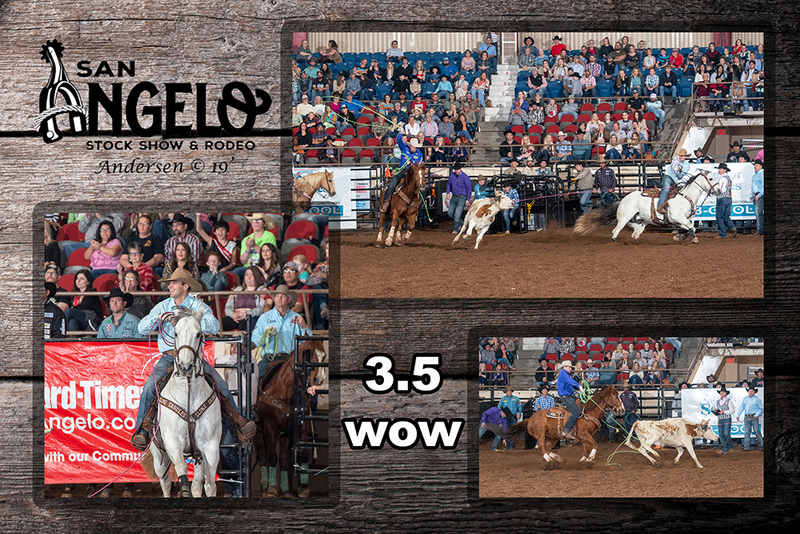 SAN ANGELO, Texas – There’s not a hotter tandem in team roping than Clay Smith and Jake Long, and they kept up their scorching pace this weekend at the San Angelo Stock Show and Rodeo. On Sunday afternoon, Smith and Long stopped the clock in 3.5 seconds to set the rodeo record. That, combined with their 3.6-second run Friday night, puts the duo in the lead with 10 more preliminary performances remaining as every contestant in the field battles for a spot in the championship round, set for Friday, Feb. 15, at Foster Communications Coliseum. They’re doing it very well. Over the last month, Smith and Long have won the Texas Circuit Finals Rodeo, the National Western Stock Show and Rodeo in Denver and the Wildfire Roping last weekend in Hamilton, Texas. They sit No. 1 in the Professional Rodeo Cowboys Association world standings – both have earned $14,714. And they stand a great chance of pocketing even more in this west Texas community of about 100,000 people. By setting a new arena record, they have at least put themselves in a place in the rodeo’s storied past. He and Smith decided last October to join forces for the 2019 season, but both had some unfinished business to tend to first – both had qualified for the NFR with their previous partners. Smith then put on an outstanding performance in Las Vegas with Paul Eaves and left the Nevada desert with the most cherished prize in the game, the world champion’s gold buckle. Even with his success with Eaves, Smith likes the opportunities that are before him with Long serving as his heeler. They are in that position through the first weekend of competition in San Angelo, and they’d love to be there when it comes down to Championship Friday in less than two weeks.